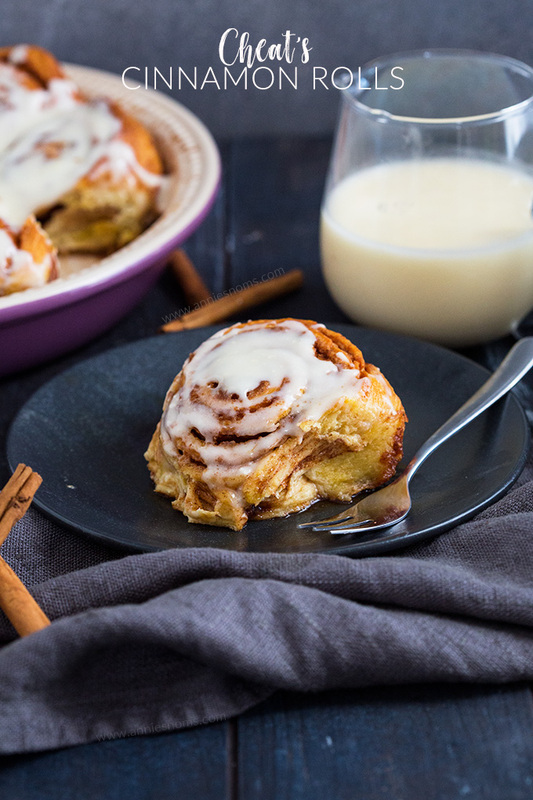 These Cinnamon Rolls are ridiculously easy to make and ready in under 45 minutes. 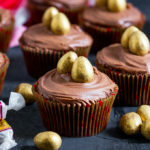 They taste amazing and are topped with luscious cream cheese frosting. Hiya everyone, hope you had a great week last week. 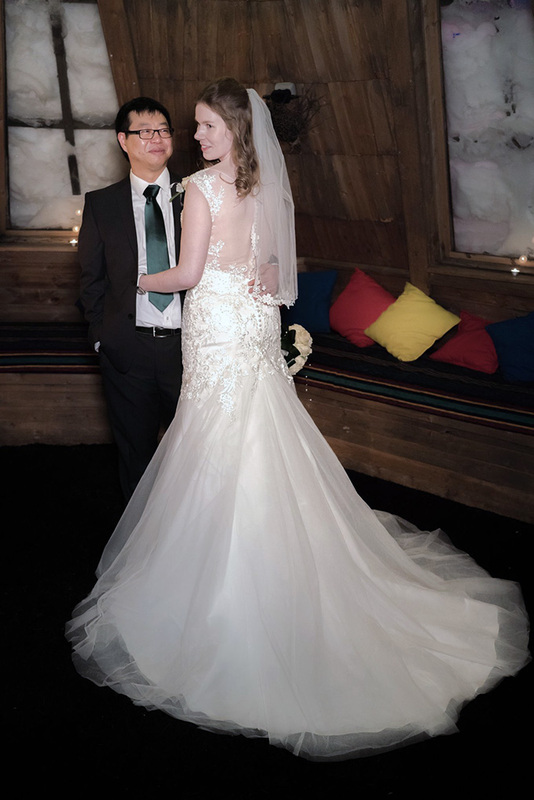 The husband and I took the week off work and then on Friday we celebrated our first anniversary! I can’t believe we’ve been married a year already. It’s flown by. Not going to lie, parts of it have been challenging – not in terms of our relationship, we’re solid as ever, but outside factors have been crazy the last few months. If the saying is true and the first year of marriage is the hardest, then that will be great haha! At least we know it will get easier from here on out? This year has so much promise… and whilst it’s going to be stressful, when everything is done, we should be a lot happier. On Friday (our actual anniversary) we went out for lunch together and I got my eternity ring to finish my wedding set. Kind of in love with my set… can’t stop looking at how sparkly it is!! We also ate some wedding cake. Considering it’s been frozen for a year, it actually tasted pretty good! 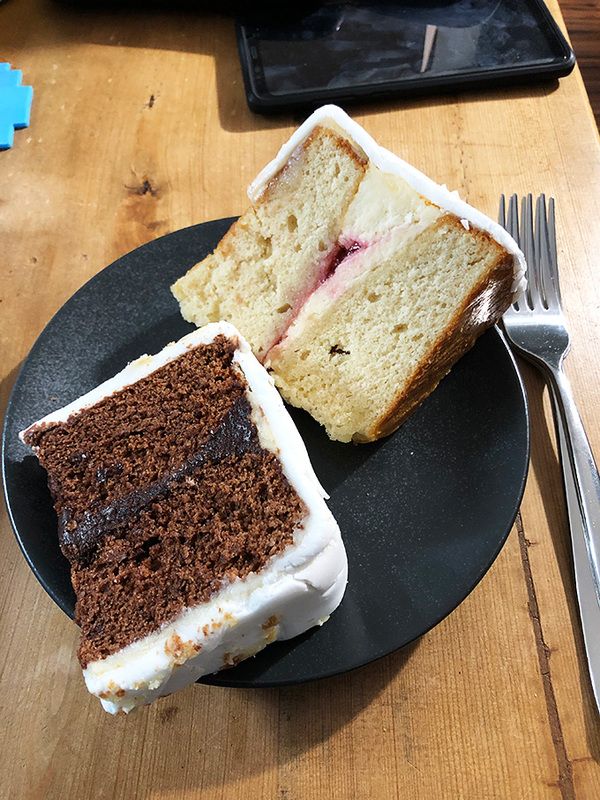 I saved one slice of plain vanilla sponge with jam and buttercream filling and one slice of the chocolate layer of our cake. 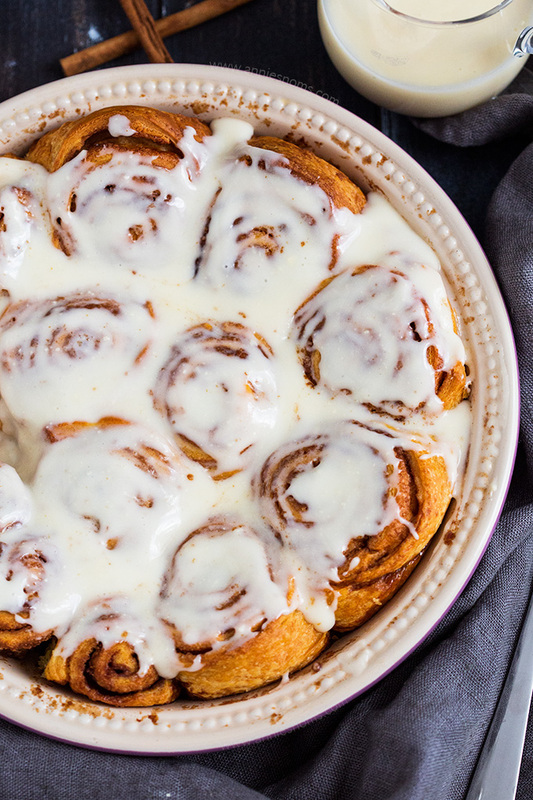 Now… hands up if you love cinnamon rolls! 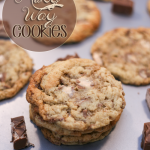 I do – warm fluffy, cinnamon and sugar filled. Pure bliss. However, I’m always after a quick fix and a cheat’s way to do something, so I experimented with something. I got rolls of croissant dough, smeared butter, cinnamon and sugar on one side and then rolled them up to create these Cheat’s Cinnamon Rolls. I crossed my fingers, placed them in the oven and waited with great anticipation to see if it worked. Guess what? They did! So I decided to make them and share them with you guys! Dough and me are not really friends, so if I can find a way to still enjoy things without having to make dough, then I’m here for it! Grab a fork, dig in and enjoy! Preheat the oven to 180C/350F and spray a 10 inch round pie dish with cooking spray. 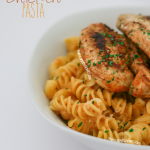 You can also use a 9×9 inch square pan – I would also line with grease proof paper if using a metal pan. Place the sugar and cinnamon into a small bowl and gently mix to combine the two. Leave to one side. Have your butter ready – make sure it’s very soft. I would usually use a lot more butter, but since croissant dough has quite a lot of butter in, you don’t want it drowning in butter and becoming a soggy mess! Work with one packet of croissant dough at a time – place a large silicone mat on your work top, or flour the worktop. I find a silicone mat much easier, no flour required and the dough did not stick at all. Gently unroll the croissant dough so you have the longest edge facing you. 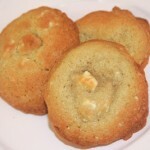 Lightly spread butter over the dough and then spoon 1/3 of the sugar mixture over the dough. Spread the sugar out with your spoon until it covers the dough. We’re going to roll it short ways to make a very large, but short cinnamon roll, so turn yourself 90 degrees (left or right, it doesn’t matter) so one of the short sides of the roll is at the top, Gently, but tightly start to roll it towards you. Once you have a giant cinnamon roll, take a very sharp knife (or dental floss) and slice the large roll into 4. My rolls were around 1 1/2 inches thick. Place the rolls into your prepared pan with the swirls facing up. Repeat with the remaining two packs of croissant dough until your pan is full of 12 gorgeous cinnamon rolls. Place in the oven for 23-27 minutes, until golden all over and risen. Mine took 25 minutes. Leave to cool for at least 45 minutes, before making the glaze. 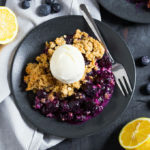 Place the cream cheese, butter and vanilla extract into a large bowl and beat until fluffy, around 2 minutes on medium speed with a hand mixer. Add in the icing sugar and mix on a low speed until the mixture comes together. Once the mixture comes together, turn up the speed and beat on medium speed until you have a smooth, pourable glaze. 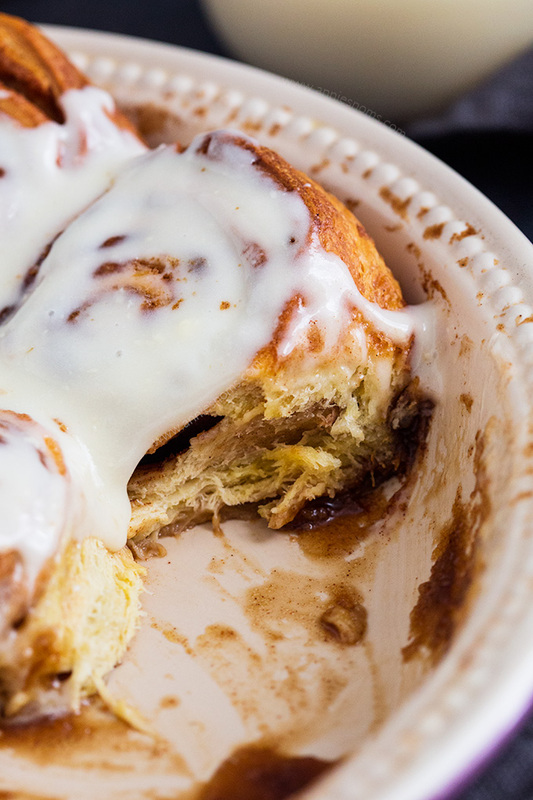 Spoon or pour the glaze all over the cinnamon rolls and dig in! Alternatively, you can bake the cinnamon rolls the day before and make the frosting. Leave them to cool and then cover in cling film overnight. Make the frosting and place in a jug. Cover with cling film and place in the fridge. 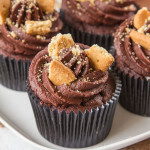 In the morning, get the frosting out of the fridge and leave to come to room temperature. When ready to serve, divide the cinnamon rolls onto plates and microwave for 30 seconds – 1 minute. 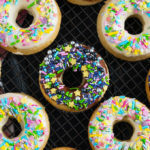 Pour on cream cheese glaze and dig in! Cheat’s Cinnamon Rolls will keep covered in the fridge: with frosting for 2 days, without frosting, for 4 days. omg those cinnamon rolls look incredible! that glaze is just making me drool on my keyboard LOL! Wish i could reach in and grab one. 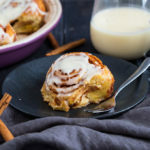 Oh I love cinnamon rolls and these look so good! These would be so fun to make with my kids. Hppy anniversary! 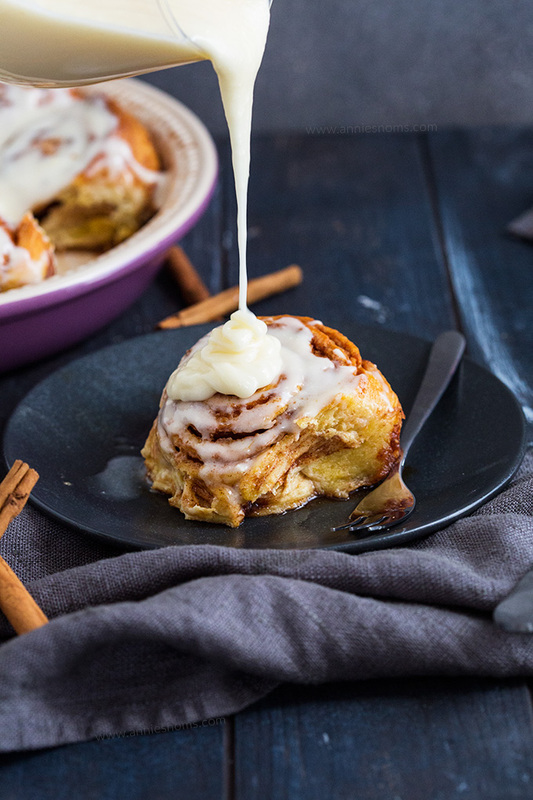 These cinnamon rolls look like the perfect way to start the weekend! Happy anniversary! Using croissant dough sounds like a great idea! Happy anniversary! These cinnamon rolls look amazing!